Wolfgang Puck Pizza Cutter Board & Rack $20 Shipped! 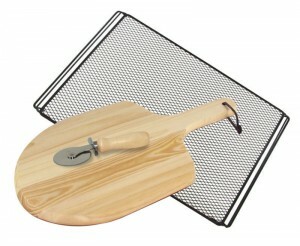 I love this great deal on a Wolfgang Puck Pizza Cutter Wire Rack and Pizza Board ! The set regularly retails for $39.99 but you can grab all three pieces for just $19.99 with free shipping. That’s a terrific deal for yourself or it would also make a great gift idea.